The two former world champions promise to make this season a classic edition in the sport as they battle tooth and nail for the championship title. Mercedes have a credible challenger this term, with the famous Italian constructor finding racing power once again. Hamilton was back to winning ways in Race 2 of the year, holding off Vettel with a display of dominant driving from the front in testing conditions. Vettel struggled to keep up with the motivated British star, and it already appears the title will be decided between the phenomenal pair. Hamilton initially found pace issues in practice, as his German competitor went fastest on Friday, and the expected higher track temperatures could be a blessing for the Scuderia. Ferrari is the team to beat on the hottest days of the year, and the SF70H will excel at venues such as the Bahrain International Circuit, even with the race being staged at night. Ferrari are very good in hotter conditions. If anything, Ferrari have got a bit quicker and the gap's even closer – they will be very, very quick. Kimi Raikkonen has had more successes in Bahrain than any other circuit, giving the Prancing Horses a real shot at claiming a double-podium finish. However, despite standing on the rostrum on eight occasions, the Ice Man has never won the race in the Persian Gulf. 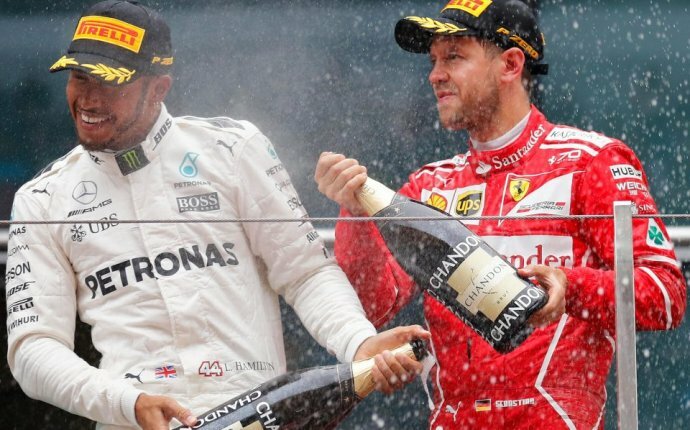 Vettel will believe this is an opportunity to pressurise Hamilton in the early stages of the world championship, and Mercedes might find the desert conditions too much on their tyres and power unit.